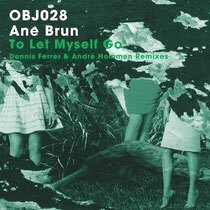 Last week saw Dennis Ferrer’s Objektivity imprint release a new two-tracker, in the form of remixes of Ane Brun’s ‘To Let Myself Go’ from Dennis Ferrer and André Hommen. The EP showcases a tug of war between ethereal and electronic and with Dennis Ferrer providing a measured pace and André a driving bassline, Ane’s soul-drenched vocals ring out across this EP, forging a sonic landscape. The first remix from the label boss himself is a more thoughtful track which locks into a slower groove, layered with synths and Ane’s vocals. André Hommen, whose first solo EP drops on the label next month, delivers a high energy interpretation which should get dancefloors on their feet. It’s been a whole six years since the Scandinavian singer/song-writer released on the New York label. Back in 2008, the Henrik Schwarz remix of her track ‘Headphone Silence’ complete with an edit from label boss Ferrer himself was welcomed with open ears and a string of good reviews including a 4.5 star rating from Resident Advisor. And as Ane’s hypnotic vocals lure you in to both remixes on this new release, it’s probably been worth the wait. After Ferrer discussed the remixes in a recent interview and Hommen featured his interpretation of the track during the Objektivity Boiler Room NYC Takeover in February, both versions have proven quite popular amongst peers and Objektivity fans alike. Check it out below.